Fifty years after one of Britain’s most notorious political scandals erupted, journalist Tom Mangold has looked back on events in Profumo Confidential, a special episode of BBC Radio’s Archive on 4 series. Mangold, who was working for the Daily Express at the time, investigated the affair for two years. He later joined the BBC, and has been described as ‘the doyen of broadcast reporters’. The programme begins with the fatal overdose of the osteopath Dr Stephen Ward, announced on the news on July 30th, 1963. Mangold had visited him earlier that evening. Now, Mangold has come into possession of previously unseen papers on the scandal that led to Ward’s death. A short interview with Ward follows, given shortly before his demise, at the opening of an exhibition, featuring his accomplished sketches of his friends and patients – including film stars and even royalty. ‘All important people are very simple,’ Ward quips. ‘Otherwise they wouldn’t be important.’ His assured, patrician tone is seemingly very different to the effete personality of popular caricature. Similarly, Keeler – then just 21, and from a provincial, working-class background – was already no Eliza Doolittle, but a well-spoken English rose. Her time under Ward’s influence had clearly smoothed out any rough edges, though she seems to waver when a reporter asks, in a rather insinuating manner, if the publicity had helped her career. In fact, Keeler’s life had been troubled from the start. She had experienced both poverty and abuse, leaving home as soon as she could. No wonder she aspired to a more glamorous existence. In later years, Keeler would describe Noel as ‘the man I had always wanted.’ Unfortunately, it seems that he, like so many other men, saw her as little more than a plaything. Racial prejudice would also play its part in the scandal, though it is barely explored here. Mangold relates a story about how, while planning a race relations exposé, a tabloid editor suggested he ‘black up’ – only in much stronger language. Earle had known Ward ‘for years’, and was ‘waiting for the day the police would get him.’ He described Ward as ‘a demon’. This kind of moral hypocrisy – expressing disapproval at the ‘depravity’ of those involved, while also revelling in it – pervaded press coverage of the affair. Lord Hailsham was among those troubled by the possible breach of national security. But Rupert Allason – a military historian, and former Tory MP, whose father was Profumo’s parliamentary secretary – believes there was never any risk. ‘The proposition that there was any canoodling going on between Ivanov and Keeler is an invention of ghostwriters,’ Allason says. ‘I yielded to this wonderful, huggy bear of a man,’ Christine told newspaper readers in 1963. She would go on to write four memoirs, the latest of which – essentially a reissue of the previous one – was published last year. ‘By 2012,’ Mangold comments, ‘the incident had morphed from mad, passionate love to cold, clinical seduction to order.’ Over the years, Keeler’s affection for Ward seems to have been shaded by bitterness. Though he was genuinely fond of Christine, he also exploited her – something she was then too young to realise. In 2001’s The Truth at Last, Keeler shared her conviction that Ward was a spy. Certainly, it does seem that he was recruited by MI5 to befriend Ivanov, though there’s no evidence that he wished to defect. But Stephen, who longed for power, was piqued by the idea of espionage, even if he was largely a pawn – and it’s not unlikely that he may have shared his ambitions with Christine, who was living with him at the time. However, this does not wholly preclude some form of sexual encounter, however thwarted. Perhaps Ivanov didn’t want to tell the whole story to a man who was, after all, dating the same woman? Lord Denning did not believe there was an affair, but acknowledged that Ivanov was ‘a man who drank a lot and was something of a ladies’ man.’ Ward also thought there was ‘no evidence’, but then, he wasn’t there. Mangold mentions, in passing, that Mandy Rice-Davies believes Keeler and Ivanov did have a one-night stand; but no direct quote from her is broadcast. As I’ve mentioned before, the main body of Secrets and Lies mirrors that of The Truth at Last, published by Sidgwick & Jackson in 2001. The publishers were sued over an implication that the Earl of Dudley’s wife had been ‘one of Ward’s girls.’ However, Keeler’s claims about Ward’s involvement with MI5 – though widely contested – were not legally challenged. We may never know if Ivanov had an affair with Christine, but nonetheless he was a regular guest of Ward’s, and thus would have known her quite well. While not so headline-grabbing, this may have constituted a security risk of sorts – especially if, as it has been alleged, Profumo had already been warned of their association by Norman Brook, who headed the Civil Service. ‘This is not contained in any of the evidence she gave to Denning,’ Allason observes. ‘If there had been the slightest suggestion in 1963 that Roger Hollis (Ward’s contact at MI5) was a spy, or even that Stephen Ward was a spy, there would have been a major rumpus. The purpose of the Denning Report was to look into the security aspects of the Profumo Affair.’ But was this really its true purpose – or was the document, as many have suggested, a whitewash? But not as pleased as one or two Prime Ministers we know! They didn’t even leak to Henry Brooke, who’s in charge. He’d have found it much livelier with a Trollope instead! The Denning Report was published on September 26th. ‘The investigation was neither a Royal Commission or a formal judicial inquiry,’ Mangold remarks. ‘We were all a little culpable in the death of Stephen Ward,’ Mangold admits. In Profumo Confidential, he asks Noel Howard-Jones to read out Stephen’s last letter. Noel tries, but understandably cannot. Given that the letter has long been in the public domain, this does seem gratuitous. The Fall Guy for Profumo, by Tom Mangold, The Telegraph, April 2013. 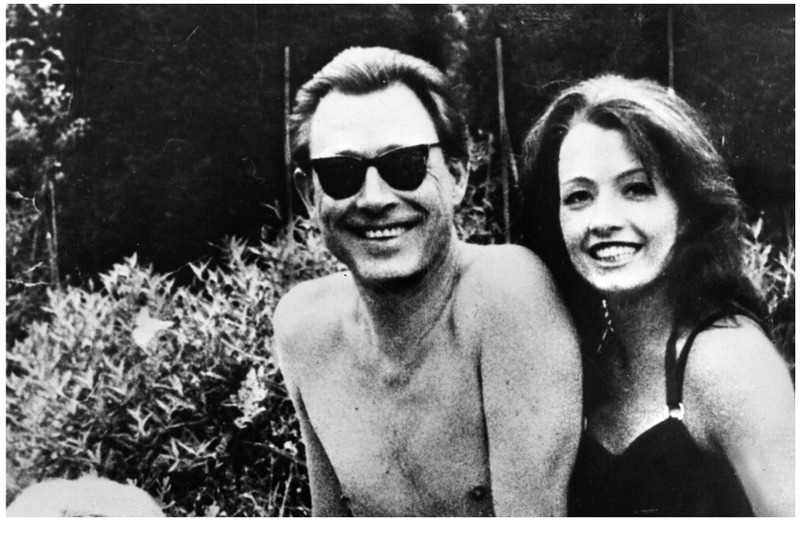 The Scandal of John Profumo and Christine Keeler by Lord Alfred Denning, 1963.